Summer, and salad. They’re just a match made in hot, lazy, summertime heaven. Well, we’re back from California, and one thing is for sure: After five weeks of traveling, I am so ready to dive back in the kitchen and create some great meals for our family!! And a bit sticky–at least here on the island. And let’s face it, no one feels like standing over a steamy stove when it’s hot and sticky. No, when it’s hot and sticky you just want to jump in the ocean. But my teenagers? They are like no way. They want all of the food. All of the time. Then let them eat ice cream. This salad is one of our favorites. 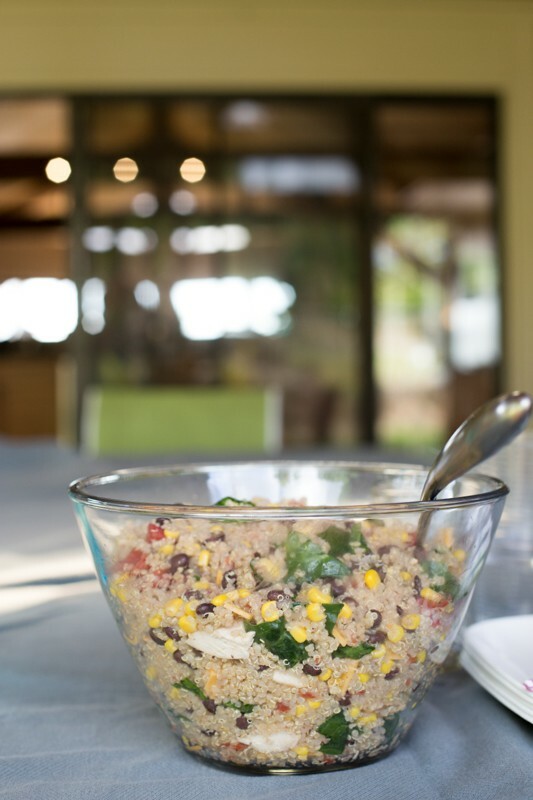 Quinoa is packed with protein, but I still added grilled chicken breast to this one. ^ Because there are a lot of muscles being built in this house right now. 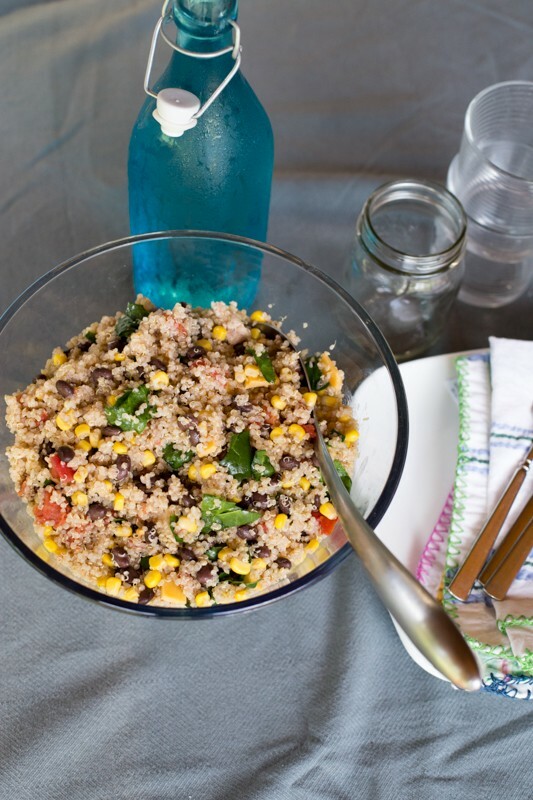 Lime and olive oil, paired with black beans with the crunch of corn and kale…Mmm. I love a bit of garlic, and a good dash of salt and pepper…The flavors are just perfectly summer. Print this baby out, and make it tonight! optional 1-2 cooked chicken breasts, diced. optional 1/2 cup cheddar cheese (or your choice) cut into small cubes or shredded. 1 tsp salt or to taste--usually takes a bit more for mine. *optional add chopped veggies like onion, red or green pepper. Combine all ingredients in a large bowl, combining well. Add the salt, pepper, and olive oil according to taste. I like a lot of lime juice so I add a bit extra of that as well. Let me know if you try it! And just a warning, I might be coming back with a few more salads this summer! What do YOU crave most in the summer? Or if it isn’t summer where you are–(hello Down Under, :)) What are you craving these days!? I made this yesterday for lunch! Let me just say it is delicious! I have never made or eaten quinoa before…I am hooked now…I used red quinoa and added extra lime like you said and avocado…its like a pico salad! yum yum!my kids ran from it but more healthy yummy goodness for me! Will definitely try this …once we hit summer again! Right now in Melbourne we are having daytime temps of 11 degrees so. My growing cannot be filled boys are craving hearty warm filling meals…and then want to know what else they can have to fill up on. Where do they put it?? 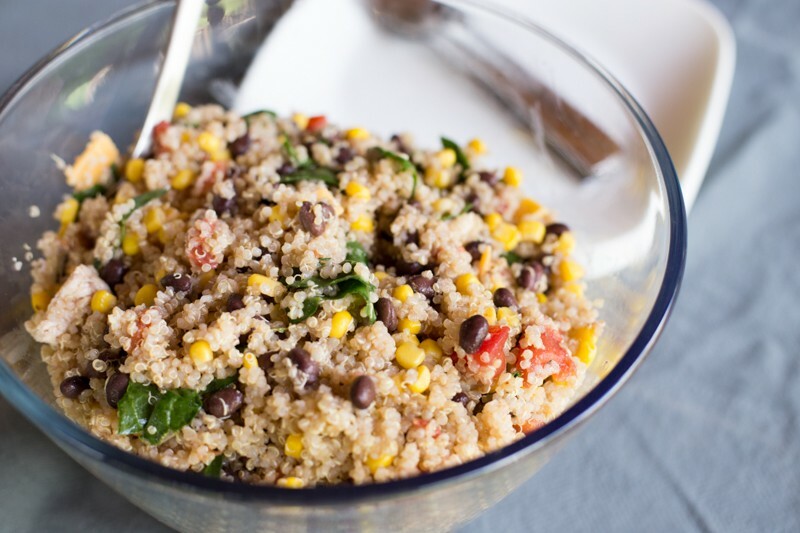 I love quinoa–I make your other quinoa salad all of the time, so I know I’ll like this one too. 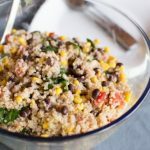 I was pleasantly surprised that my kids all liked quinoa in a salad too! 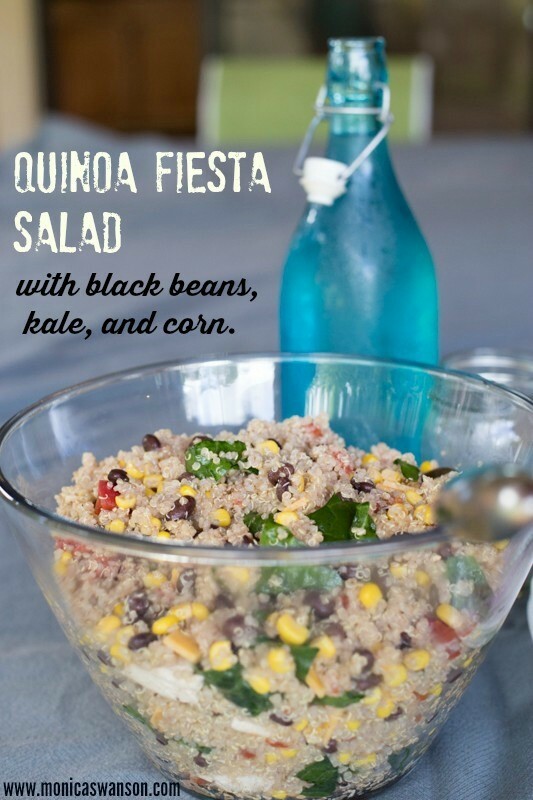 So glad you liked the other salad and isn’t it great–My kids love quinoa too! It’s like a small victory to find really healthy things that kids actually love! Yum! I love everything in this! And yep—I’m with you, Salads and summer go together! I also think of strawberry shortcake and garden fresh veggies that we only get in the summer. I only wish it lasted longer!